Where are you going this weekend? We're back at it again! 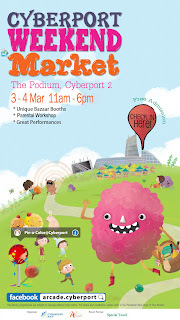 Saturday AND Sunday we will be in Cyberport for the monthly market. Greg and Sean will be there Saturday and Lauren and Lionel will hold it down Sunday. Even if it's not wine and gourmet foods that float your boat (who are you!?) there are a ton of other activities and vendors. And it's supposed to be 21 to boot! Really you have no excuse. We hope to see you this weekend!